Nieuws - Fauna introduces a new brand "SingingFriend"
"SingingFriend" presents the feedR& breedR. 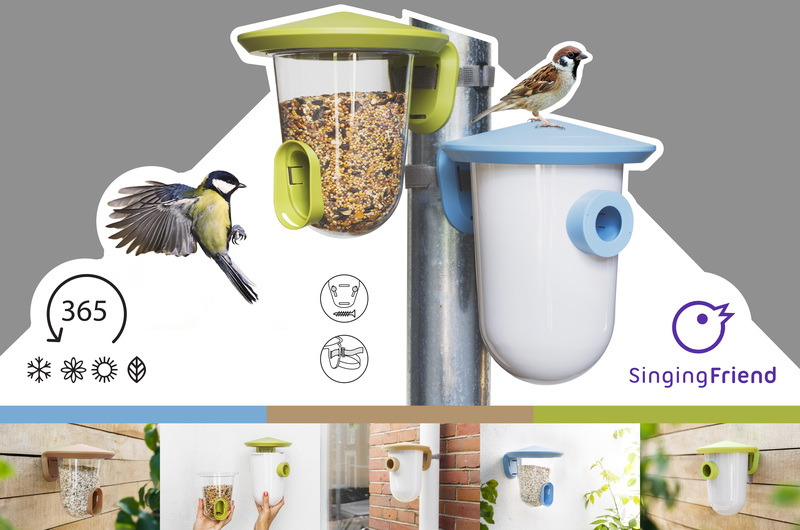 A wildbird feeder and nestbox different from all others! Greath design and functionality. They can be placed anywhere with the included velcro or screws (not included).